From beels to ponds and such water bodies, the Assam government is planning to utilize those as major resources in its endeavour to produce renewable energy and lit up settlements which are still far from grid connectivity. The Assam government is mulling the idea to set up floating solar projects on these water bodies and produce electricity, and this way light up households which are still far from electricity. Explaining the initiative, Mrinal Chaudhury, of the Assam Energy Development Agency (AEDA) said solar panels take up a lot of space and there is always a shortage of land space, so the AEDA is now focusing on the water bodies. Chaudhury, however, added the government is not only looking at those water bodies, but any water body at a suitable location and in an area where the local people are willing to cooperate in setting up the project. 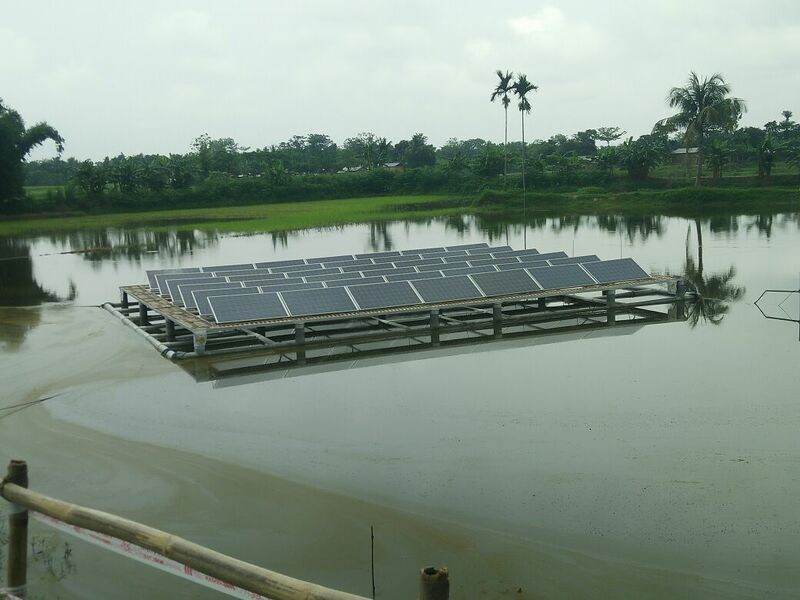 The Assam government has been successful in a maiden attempt where it made such an attempt at a remote village in the Bhurbandha village in Morigaon district in Assam, and could install a 10.5 kw floating solar power project on a pond in the village, and is now able to provide electricity to over 20 households, besides setting up street lights. Also, an aeration device is fixed with the floating solar project which aerates the water with power from the project, and this, in turn, has enhanced the fish production. Pankaj Kumar, of Quant Solar Technologies, a company working on energy issues said, “Floating solar projects utilizes unused surface of water bodies such as ponds, water tanks, reservoirs to generate solar energy and therefore allows better utility of land for other more economical purposes.